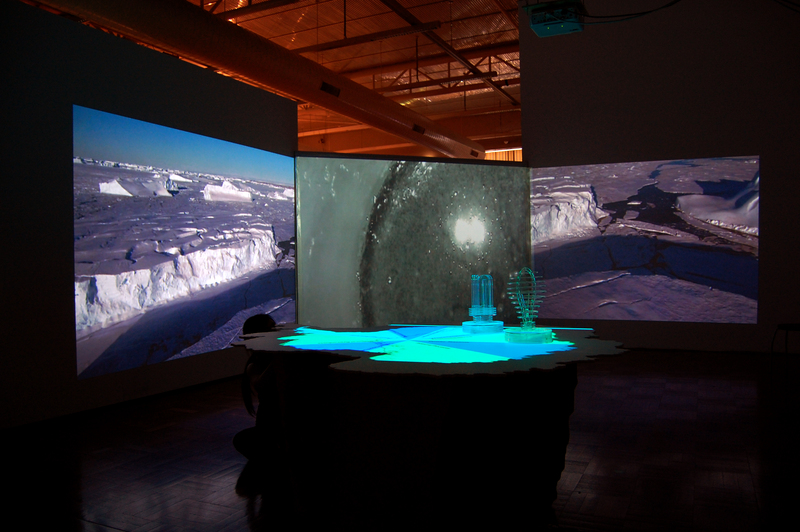 InterAntarctica – a 3D walk-through exhibition in Canberra, aiming to convey the scale of greenhouse gas emissions and climate change in the Antarctic. 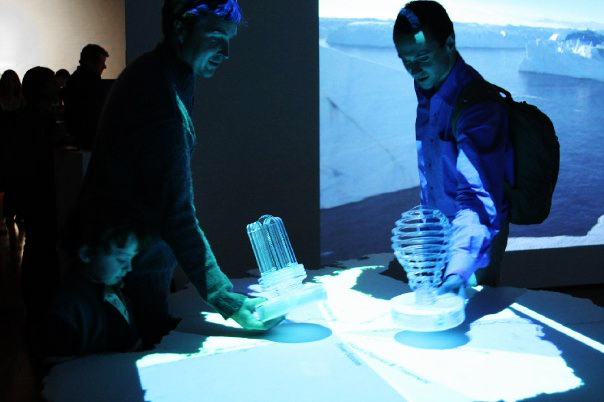 Visitors were engaged in multiple senses – sight, sound and touch. 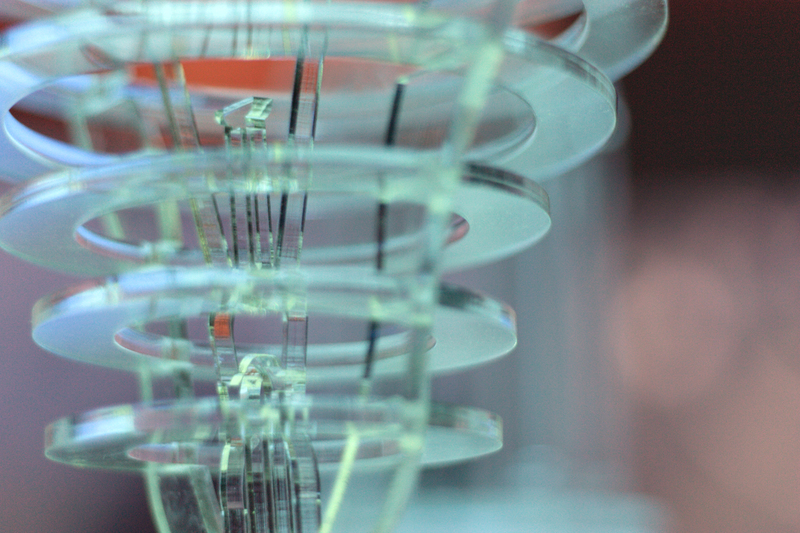 The transparent laser cut acrylic objects had a Wii remote placed inside to detect motion. The audio visuals were then altered by the user activity when they picked either the LED (projecting bright colours and soft wind sounds effects) or the incandescent light bulb (screen darkened and howling wind sounds effects), programmed in Processing. 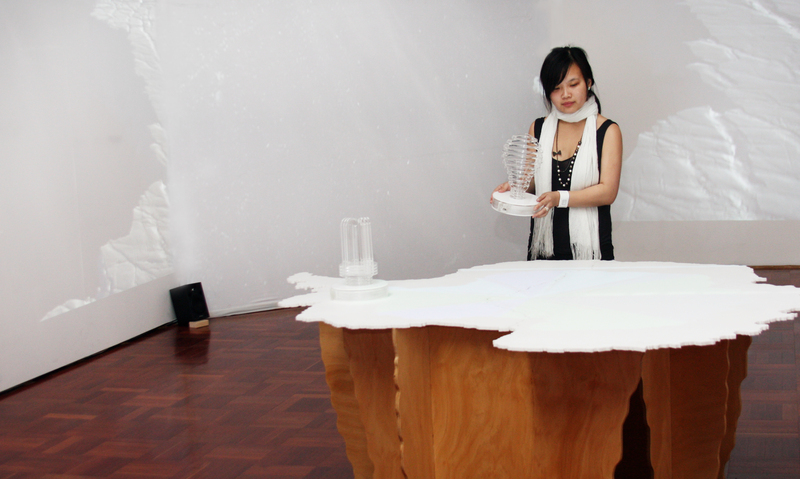 This project was a collaboration of ten university students; I pieced the laser cut table, was tasked with event photography, content management of the website, and became the marketing liaison.